Introducing the Grove Navy Crew Neck Tee with pocket detail. Made with the finest cotton jersey, the Grove Tee excels the usual Goodwin Smith Quality. Crafted with a cotton blend for a soft and comfortable finish. Pocket detail with GS stag repeat. Featuring stag embossed metal button on the back neck. All garments have an individual touch of luxury and design…we call this the GS DNA. 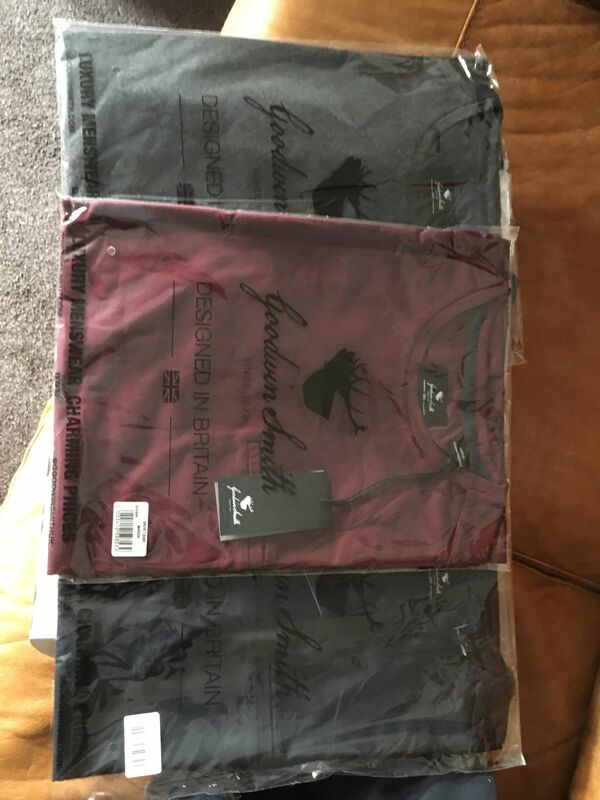 SECOND ITEM OF CLOTHING I HAVE ORDER FROM GOODWIN SMITH AND QUALITY FOR MONEY AND GREAT SERVICE, THANK YOU.